NEWS: (BELLE PLAINE, Minn.) Project EverGreen, a national non-profit promoting the value of preserving and revitalizing managed green spaces, is bringing its “Healthy Turf. Healthy Kids.”(TM) Initiative to Court Square Park in Belle Plaine, Minnesota. These undertakings are three of more than a dozen “Healthy Turf. Healthy Kids.” projects that have been completed or that are scheduled across the United States. Working in partnership with the Belle Plaine Park Board and City Council, Belle Plaine Chamber of Commerce, Belle Plaine High School FFA, Project EverGreen and industry volunteers will provide the materials and labor to repurpose and renovate 150,000 sq. ft. of existing turf in Belle Plain’s Court Square Park into a useable, safe six-hole disk golf course. The new course will capitalize on the growing popularity of the sport which uses a Frisbee instead of a golf ball and challenges players of all ages to hit targets – either a basket or object target – to complete a hole. The transformed green space renovations, which are valued at more than $4,000, will provide a new, more inclusive outdoor recreation option and foster a greater sense of community for Belle Plaine’s 6,000 plus residents. The initiative includes weed control and fertilization; aeration of the playing surface; installation of new plant material including red osier dogwoods and burning bushes; and general clean-up of the green spaces at each of the facilities. Minnesota green industry volunteers supporting the Court Square Park project include Genesis Coop (LeSueur); Town & Country Hardware (Belle Plaine); Turfco (Blaine); and Gardner & Gardner Communications (New Prague). 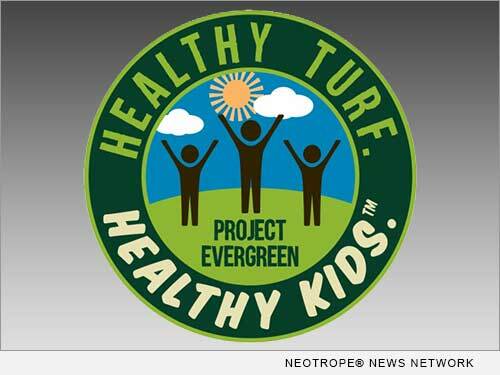 Project EverGreen’s “Healthy Turf. Healthy Kids.” is a nationwide initiative to renovate and revitalize parks and athletic fields to ensure children have access to safe managed green spaces on which to play and exercise. Yards, parks and athletic fields not only promote a healthier lifestyle but contribute to economic growth, community development and benefit the environment. For more information on how you can start a revitalization project in your community, visit http://www.ProjectEverGreen.org/ or call 877-758-4835. Project EverGreen invites local media members to film and photograph the revitalization work being done at Court Square Park. Participating volunteer contractors and representatives from Project EverGreen will be available for interviews. The onsite media contact is Project EverGreen’s Den Gardner (Cell: 612-325-3981). Headquartered in Cleveland, Ohio, Project EverGreen is a national non-profit organization committed to informing the public about the positive effects of well-maintained green spaces in our communities where we live, work and play, including lawns and landscapes, sports turf, golf courses, trees and parks. To learn more about Project EverGreen and to join us in our efforts to restore and revitalize green spaces in cities nationwide, visit http://www.ProjectEverGreen.org/.